Functions can have triggers and input bindings. 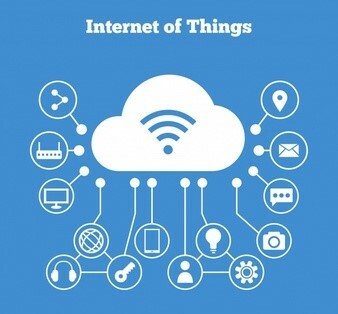 The first is the cause of the function to run – which can have a payload. An input binding is a declarative definition of data that the function has (read) access to during execution. 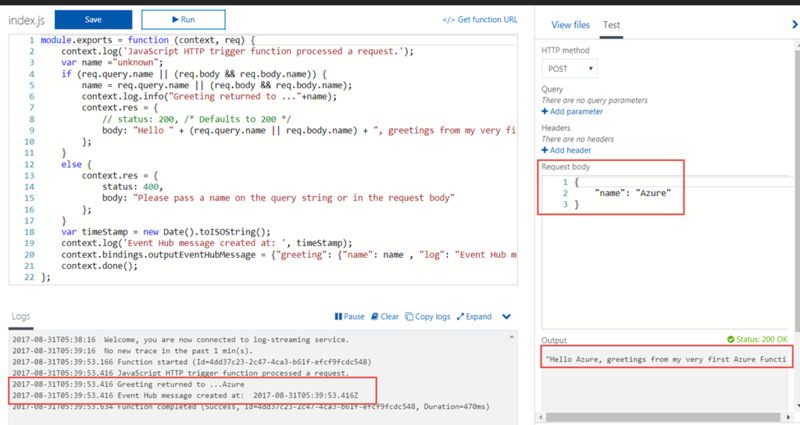 Function also can have Output bindings – for each of the channels to which they write results. 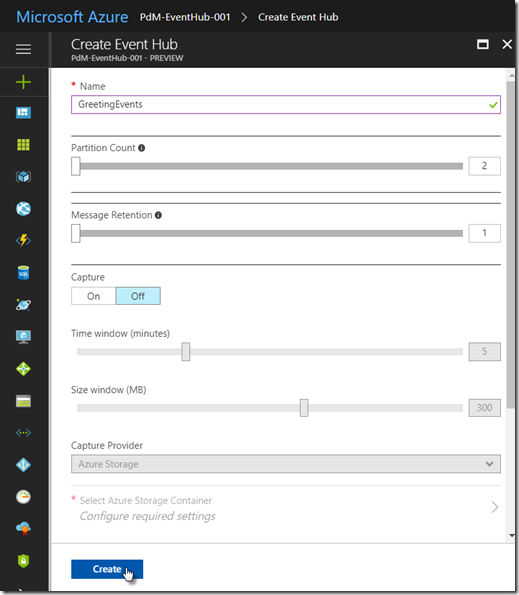 Create Event Hub GreetingEvents. Set the name and accept all defaults. Press Create. 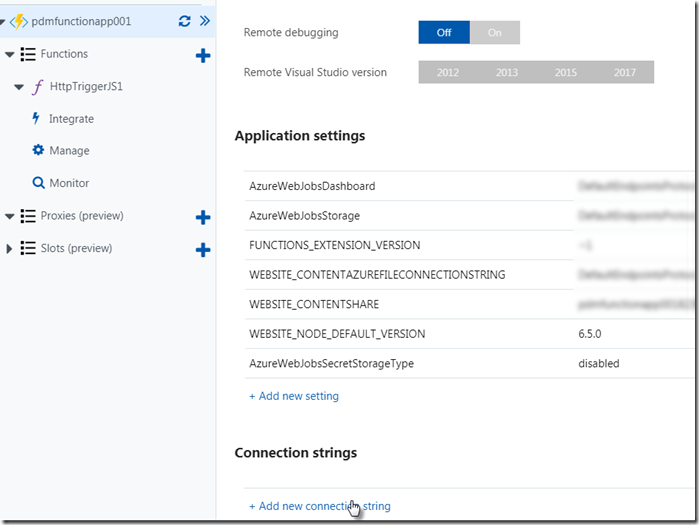 Now return to the overview and click on the link Connection Strings. 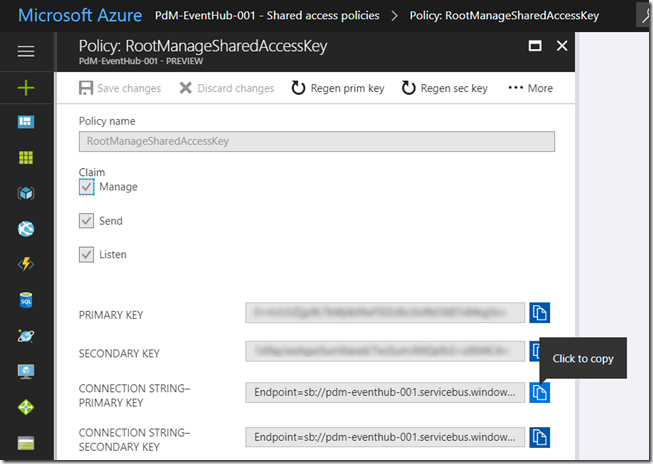 We need the to create a connection from Azure Functions app to Event Hub Namespace using the URL for the Shared Policy we want to leverage for that connection. Click on Connection Strings to bring up a list of Shared Policies. 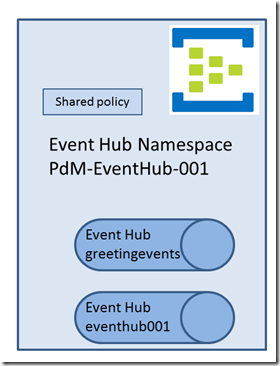 Click on the Shared Policy to use for accessing the Event Hub namespace from Azure Functions. 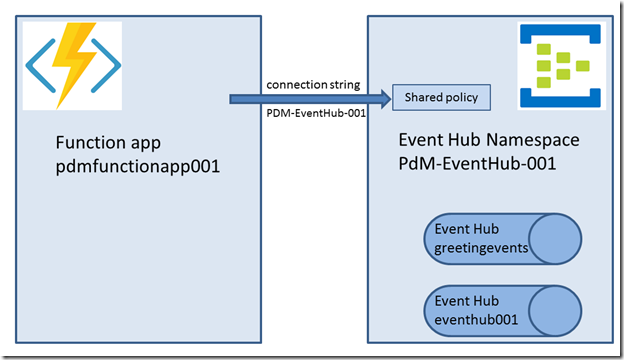 In order for the Function to access the Event Hub [Namespace], the connection string to the Event Hub [Namespace[ needs to be configured as app setting in the function app [context in which the Function to be triggered by Event Hub is created]. Note: that is the value in the clipboard. 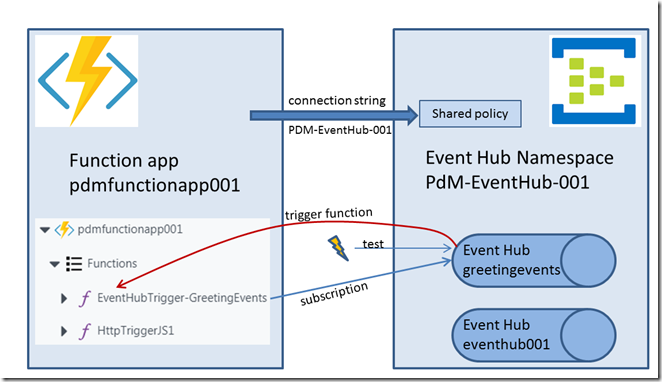 At this point, a link is established between the function app (context) and the Event Hub Namespace. 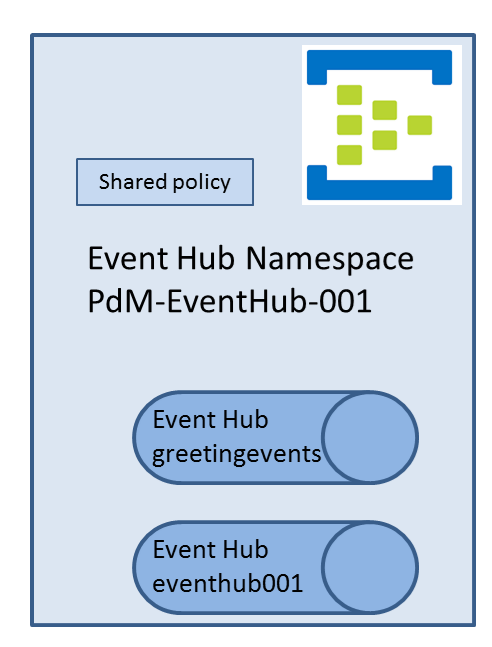 Any function in the app can link to any event hub in the namespace. 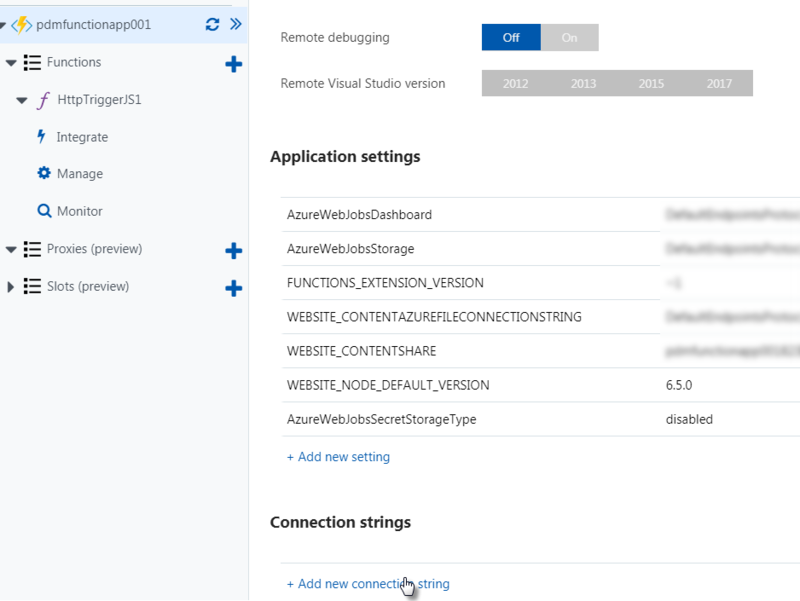 The value of connection is a reference to an APP Setting that has been created when the function was created, based on the connection string to Event Hub Namespace. Click on Save and Run. 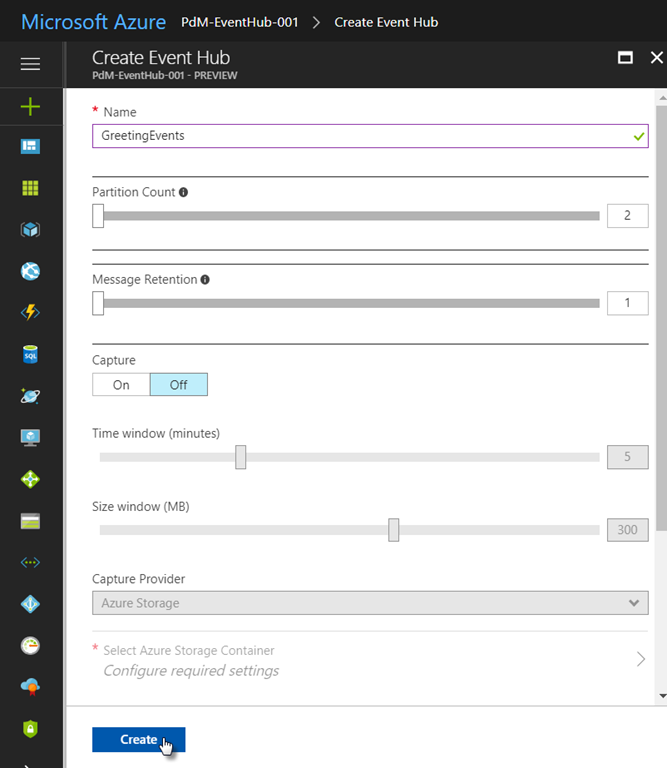 A test event is published to the Event Hub greetingevents. In the log window – we can see the function reacting to that event. So we have lift off for our function – it is triggered by an event (and therefore presumably by all events) on the Event Hub and processes these events according to the (limited) logic it currently contains. 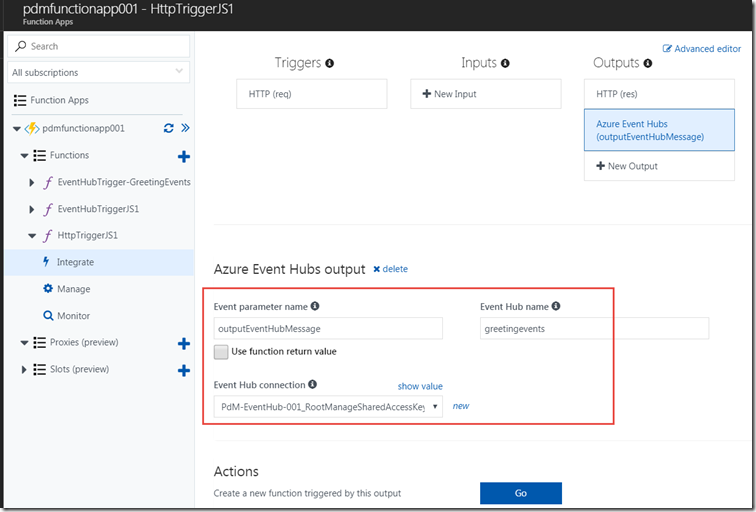 To make things a little bit more interesting we will make the Azure Function that was introduced in a previous article for handling HTTP Request “events” also produce output to the Event Hub greetingevents. 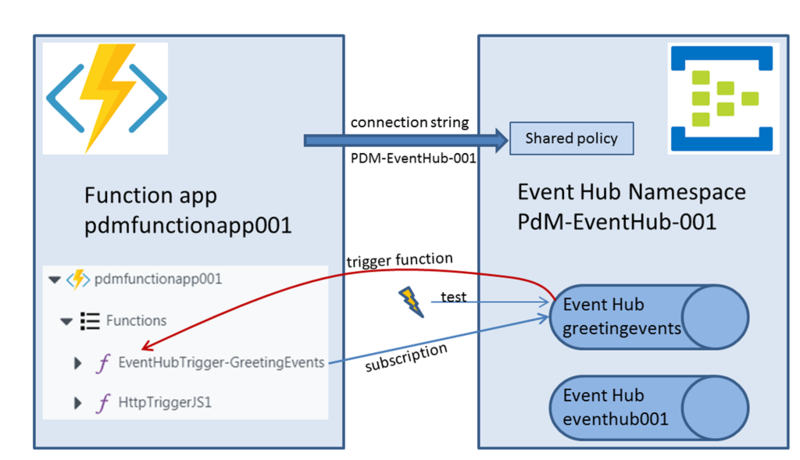 This means that any HTTP request sent to function HttpTriggerJS1 leads to an event published to Event Hub greetingevents and in turn to function EventHubTrigger-GreetingEvents being triggered. that indirectly triggers our former function. 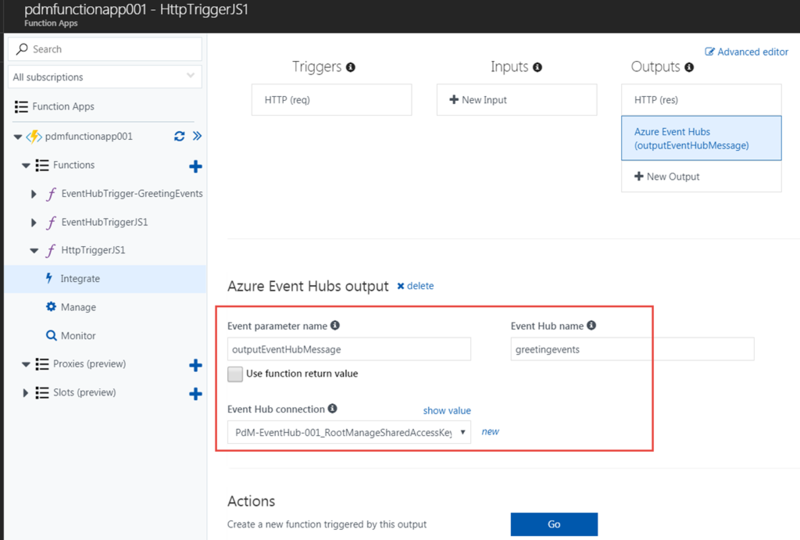 The function returns it response and also publishes the event. 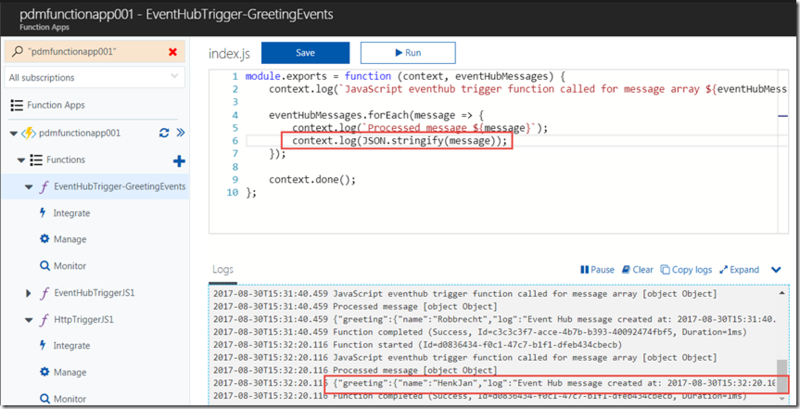 We can tell, because in the logging for function EventHubTrigger-GreetingEvents we see the name sent as parameter to the HttpTriggerJS1 function. 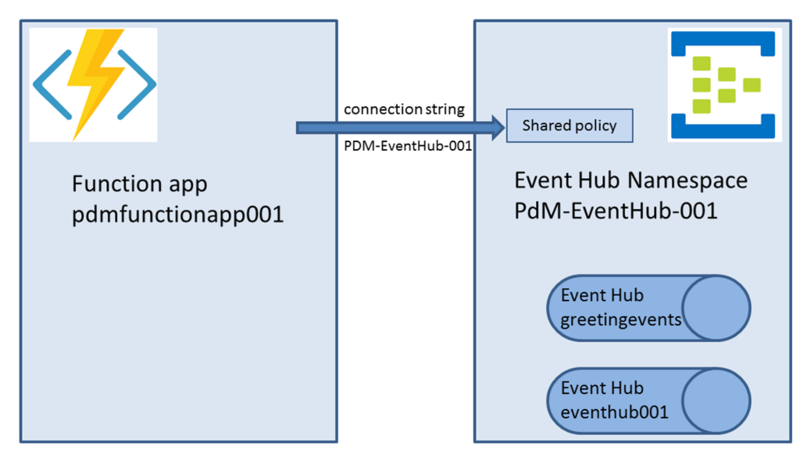 What is the best protocol HTTPS or AMQP to use while sending events to event hub?